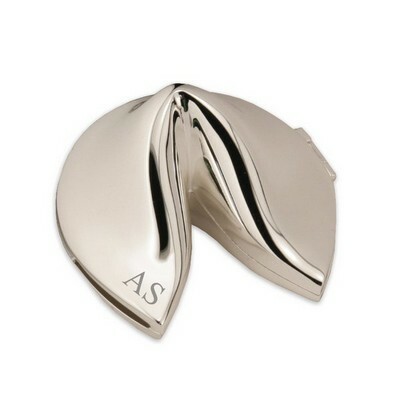 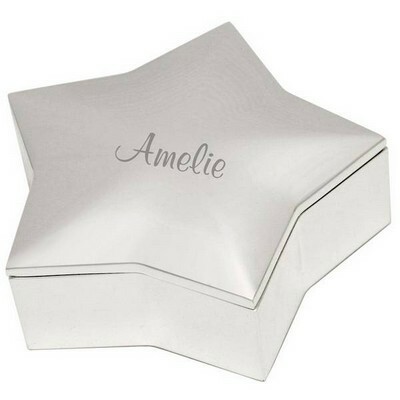 Commemorate any special religious occasion with our God Bless Personalized Silver Trinket Box. 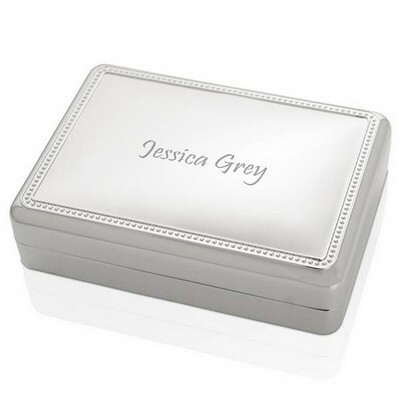 This handsome silver keepsake box makes an impressive presentation box for rosaries, jewelry, and other small trinkets. 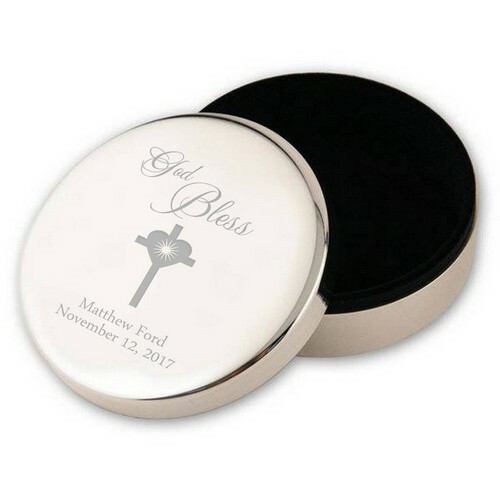 Give it as a confirmation gift, first communion gift, or a religious birthday gift. 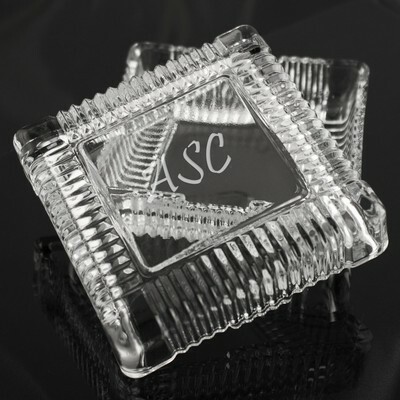 Personalize it with the recipient’s name, the date of the occasion, or a treasured Bible verse! 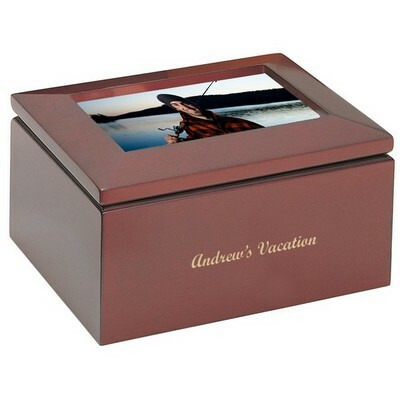 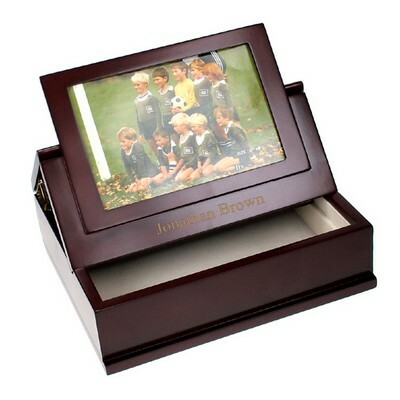 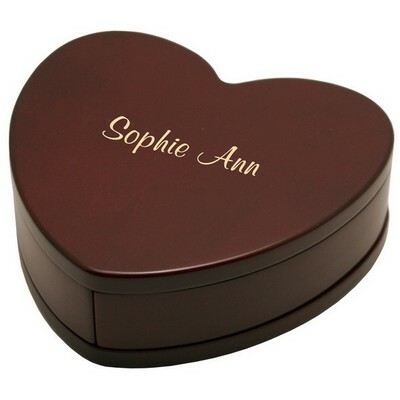 Keepsake Box measures 3 1/8" in diameter and 1 1/8" in depth. 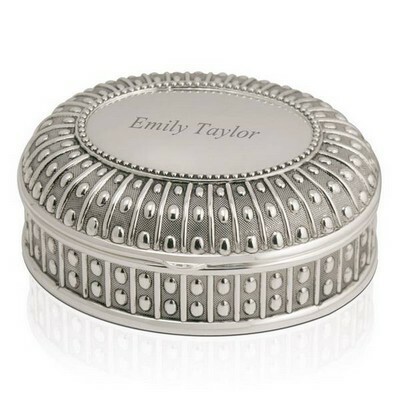 Silver plated exterior. 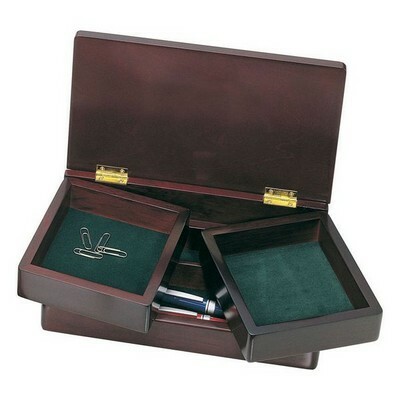 Interior lined with black velvet.